Google claims that over 80% of all local searches for business are now done through Google’s search engine. And these searches for local business are typically in close proximity to where the business is physically located. Google has just launched Local Listing Ads – a way for a local business to have to gain advertising exposure to a highly targeted prospective audience. 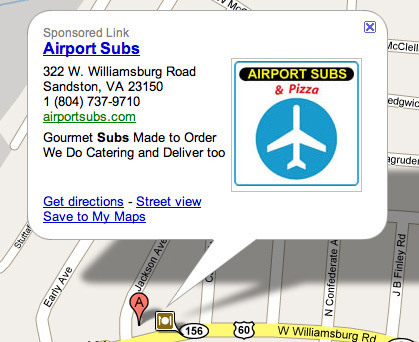 With a Google Local Listing Ad on Google Maps, your ad will only show when someone has searched within a specific category related to your business, AND only when that person is a certain distance from your business. You will not pay on a “pay per click” basis like you do with Google Adwords. Instead, Local Listing Ads will be charged on a flat fee monthly basis depending on the location of your business, and the category of your business. The only downside at the moment is Local Listing Ads are only showing in San Diesgo and San Francisco. However, you can fill out a form here to get updates on future roll outs for your area.